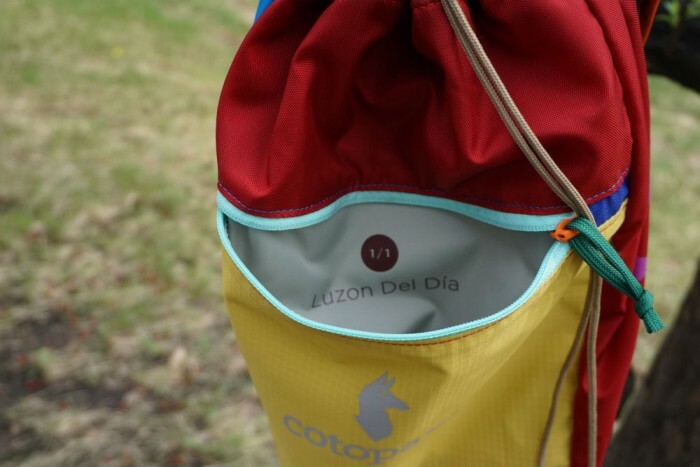 ‘No two are alike.’ Cotopaxi’s Luzon Del Dia daypack is handmade, and workers have control over the colors of repurposed nylon used in each pack. Maybe that’s why it felt good to wear the 18-liter Luzon Del Dia backpack, because performance-wise the simple bag, though functional for daily tasks, was nothing new. At 10.5 ounces, this is one light pack. 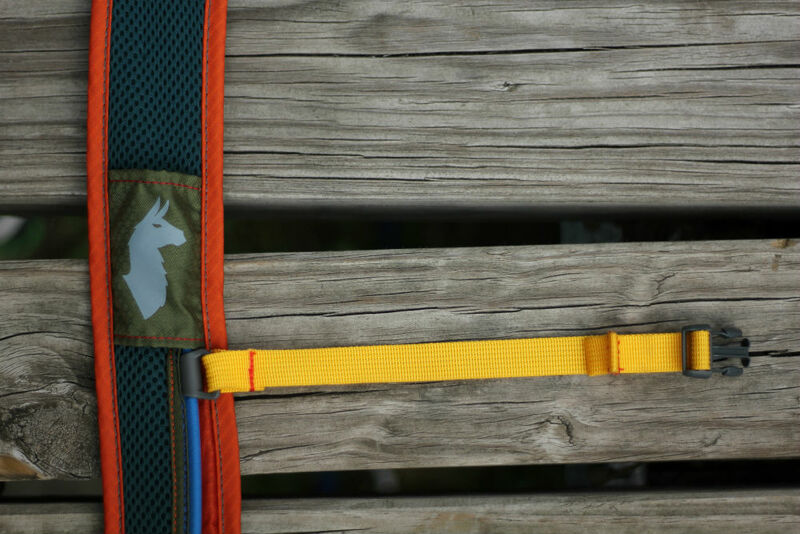 But it quickly became apparent in my review that it’s simply colored nylon stitched together into one big pocket. Might be better to call this a “bag” instead of a backpack. That said, the design is enough for short hikes, beach outings, and bike rides. Just don’t look for anything beyond a sleeve for a hydration bladder, one big main compartment, and an outer zip pocket for small things. For comparison, for about the same price the REI Flash 18 bag has daisychain lash points along the outside for tying down shoes and other gear, freeing up storage space, and it can be turned inside out for use as a stuff sack for camping. On the Cotopaxi and other minimal packs, items have a tendency to shift and sort on their own unless you carefully pack. There is no frame or frame sheet, and no support other than the harness system. A chest and hip belt allow you to tighten the mono-compartment. It closes with a draw-string on top. 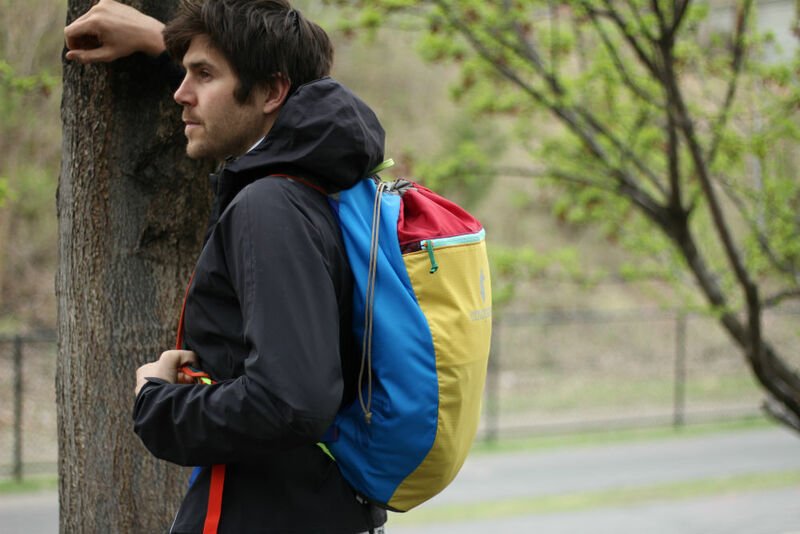 A caveat: With no flap or zipper on top to cover the opening, rain can get into the pack. Despite not being waterproof, the lightweight nylon did hold up to perspiration and light water contact when cleaning the bag. 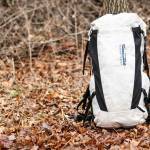 Cotopaxi uses a nice ripstop nylon on the pack. I managed to put this fabric to the test by (100 percent unintentionally!) crashing my bike at 20 mph and skidding along the side of a path. A few battle scars and scuff marks streaked the face of the bag – which washed out with soap and water – but not a single tear formed. The stitching at the seams also held fast. After testing with both soft and rigid objects, pens, bike tools, and keys, there is no sign of damage or wear that has fatigued the fabric inside the Luzon or out. Its strength-to-weight ratio is solid. Despite a lack of features, the Luzon is undeniably charming. Its splashy color scheme gets a lot of attention and starts a lot of conversations. 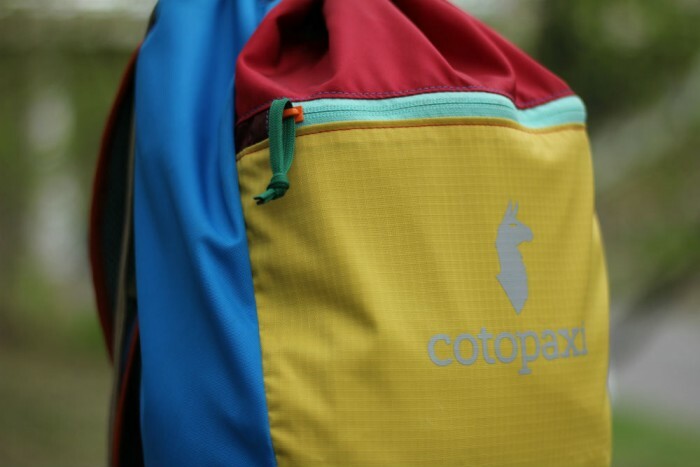 The Cotopaxi story gives you some pride in wearing the bag when the “What kind of bag is that” questions inevitably come. A nifty “One of One” production stamp reinforces each bag’s unique aesthetic and sustainability ethic. Add to that the bag’s comfort (when packed right) and it’s easy to like this simple, goofy bag whether it’s weather-proof (or run-proof, or tear-proof) or not. 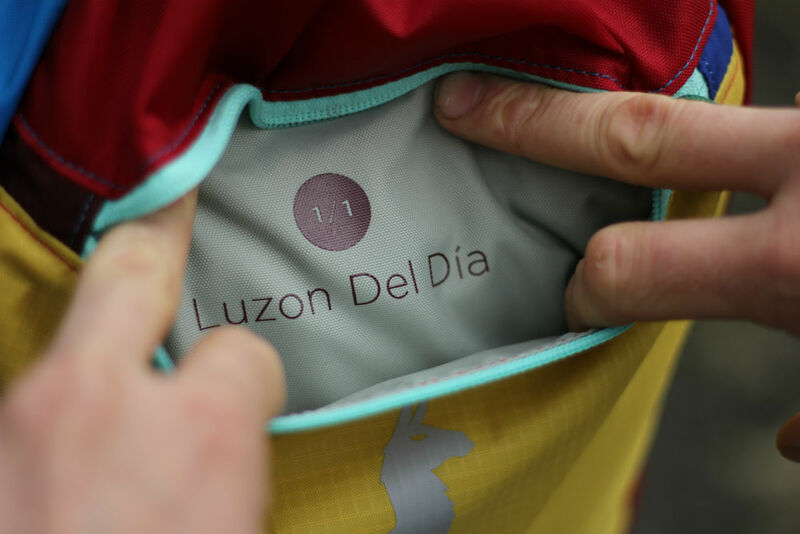 For the money – $50 for the one-of-a-kind Del Dia version, $40 for limited-run color schemes – the Luzon 18 has both the ethos and character to make it a backpack more than worth a look.